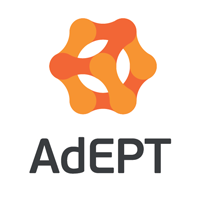 Stock in AdEPT Telecom plc with ticker code: LON:ADT has moved up 3.55% or 12 points during the course of today’s session so far. Market buyers seem confident while the stock has been in play. Range high for the period has seen 350 dipping to 330. The number of shares traded by this point in time totalled 4,835 whilst the average number of shares exchanged is 55,803. A 52 week high for the stock is 385 equating to 47 points in difference to the previous days close of business and a 52 week low sitting at 256.2 a difference of some 81.8 points. Market capitalisation is now £87.62m at the time of this report. The stock is traded in GBX. Mcap is measured in GBP. This article was written with the last trade for AdEPT Telecom plc being recorded at Tuesday, April 10, 2018 at 11:53:32 AM GMT with the stock price trading at 350 GBX. Shares in Anglo American plc ticker code: LON:AAL has increased 4.72% or 76 points during today’s session so far. Market buyers seem confident during this period. The high for the period has reached 1688.4 and hitting a low of 1652.2. The total volume traded so far comes to 2,481,794 while the daily average number of shares exchanged is 6,238,961. The 52 week high is 1870 amounting to 259.6 points in difference to the previous days close of business and a 52 week low sitting at 950.1 which is a variance of 660.3 points. Anglo American plc now has a 20 moving average of 1707.46 and now a 50 day simple moving average now at 1730.33. This puts the market cap at £23,741.92m at the time of this report. The stock is traded in GBX. Mcap is measured in GBP. 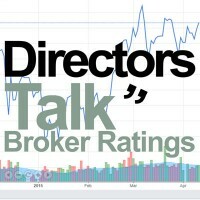 This article was written with the last trade for Anglo American plc being recorded at Tuesday, April 10, 2018 at 1:17:15 PM GMT with the stock price trading at 1686.4 GBX. Shares of Antofagasta plc with ticker code: LON:ANTO has risen 3.75% or 34.2 points throughout today’s trading session so far. Traders have remained optimistic during the session. The periods high has already touched 947.6 meanwhile the session low reached 928. The number of shares traded by this point in time totalled 1,024,065 with the average number of shares traded daily being 3,868,056. The 52 week high price for the shares is 1071 about 159.4 points different to the previous business close and a 52 week low sitting at 11.12 a difference of some 900.48 points. Antofagasta plc now has a 20 SMA at 949.2 and a 50 day moving average of 924.53. Market capitalisation for the company is £9,339.28m at the time of this report. Share price is traded in GBX. Mcap is measured in GBP. This article was written with the last trade for Antofagasta plc being recorded at Tuesday, April 10, 2018 at 1:17:37 PM GMT with the stock price trading at 945.8 GBX. Click AAL ADT ANTO for the full archive.